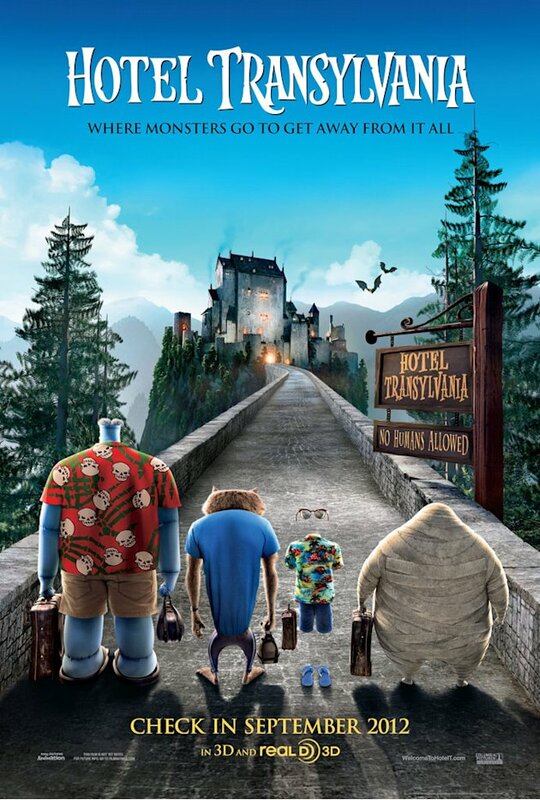 Welcome to Hotel Transylvania, a "five stake" resort where Dracula is the overprotective parent of daughter Mavis (who ages, apparently) and offers monsters a place to gather and be themselves away from the gaze of humans. One hitch, though: On the weekend of his daughter's 118th birthday, a human boy wanders into the party and develops a crush on her. As you can guess, hijinks ensue in the animated movie when Drac and his buddies - Frankenstein, Murray the Mummy, the Invisible Man and Wayne the werewolf - attempt to hilariously keep the two young lovers apart. It's sort of like Romeo and Juliet, except Juliet starts the movie dead. Directed by Samurai Jack creator Genndy Tartakovsky, who also brought us the original Star Wars: Clone Wars series, Transylvania stars Adam Sandler as Dracula - as well as his usual crew of Kevin James, Andy Samberg, Selena Gomez, Kevin James, Steve Buscemi, David Spade and Cee-Lo. Overall, it looks ... cute. But hopefully the humor will be more Rankin/Bass Mad Monster Party and less That's My Boy. Hotel Transylvania opens Sept. 28, 2012.